Below we will make the analysis of Measy B4S RK3288 Quad Core so you can see the most important features that this tv android offers. The new Measy B4S RK3288 Quad Core processor brings us to the last and one of the best GPU of the market, with which we can enjoy all kinds of applications and games without any problems and quite smoothly. The Measy B4S RK3288 Quad Core comes with version 4.4 of Android, which together with its 2 GB of RAM will make everything run smoothly and fast way for us to enjoy the content offered by the Android system on your television. 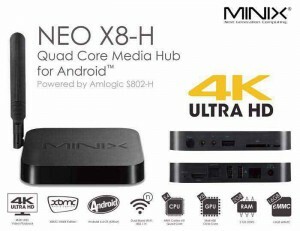 The Measy B4S Quad Core RK3288 brings us a SoC from well-known brand Rockchip, more specifically offers to us his RK3288 model that combines a quad-core processor capable of moving all applications along with a GPU wonderful to have no problems in to use your television like a console to play all the games that Android offers. The Measy B4S RK3288 Quad Core comes ready to play multimedia content at any resolution, including 4K resolution with which we can enjoy movies in a fantastic way. 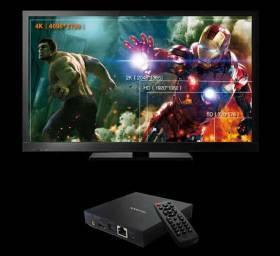 Besides the Measy B4S RK3288 Quad Core brings the player XBMC installed that enables you to see all kinds of media from movies, series and even football. 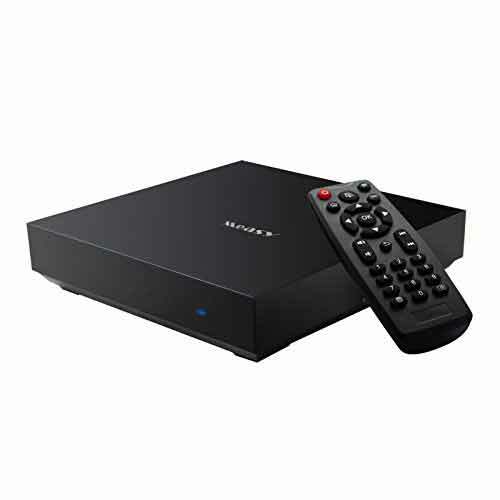 The Measy B4S RK3288 Quad Core brings a Cortex A17 processor with 1.8 GHz that all applications will move fairly fluently and without problems thus turning your television into a powerful media center with which to enjoy all kinds of multimedia content. The Measy B4S RK3288 Quad Core provides a model of GPU to last, with Mali-T764 16-core can play all the games available on Android without any problem. All this with a great quality and great speed. The Measy B4S RK3288 Quad Core offers great connectivity with which to connect all kinds of devices, from an AV input to bluetooth, through 4 USB ports, an OTG port, LAN connector, card reader up to 32 GB with to increase its storage capacity, HDMI, etc. The Measy B4S RK3288 Quad Core comes with 2GB of DDR3 RAM that is able to improve the speed by 200% and 8GB of internal memory to store all types of content, from movies to Android applications of all kinds. As if that were not enough, we can increase the storage capacity using SD cards. What is the Measy B4S RK3288 Quad Core? With Quad Core RK3288 B4S Measy you can enjoy movies like never before in your living room. Thanks to applications like XBMC you can see all movies, series, documentaries you please whenever you want. All with endless possibilities like to add subtitles to movies, watch movies in their original language, etc. Forget wait throw your favorite series on TV, with Measy B4S RK3288 Quad Core will enjoy all the multimedia content no waiting, no advertising and all at all resolutions. 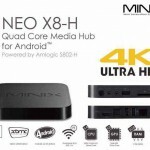 Thanks to its excellent connectivity with Quad Core RK3288 Measy B4S we can share all types of multimedia files and watch them on your TV without any problems. 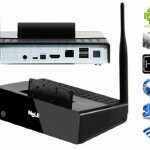 From connect your computer to the use of different applications of Android you can share and control, with your smartphone or tablet, your TV conveniently and quickly. With the Measy B4S RK3288 Quad Core you can install any application on your Android TV, opening a world of amazing possibilities for your room. From all kinds of games until all applications Android best known as Facebook, Whatsapp, Youtube and many more. 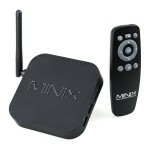 Every day many new emerging applications, making a tv android as B4S RK3288 Quad Core Measy never finished renewed. With the Measy B4S RK3288 Quad Core and using a webcam you can make video calls on your TV easily and quickly, you only have to set you an Android application like Skype or any other that serves for video conferencing and ready. The Measy B4S RK3288 Quad Core will allow you, thanks to its incredible GPU, enjoy all Android games on your TV. All with incredible quality and exceptional speed and fluidity, also can connect your console command without problem. The Measy B4S RK3288 Quad Core is certainly a powerful android tv, with which you can enjoy all kinds of multimedia content without any problem, making it a perfect candidate for those who want to convert your old TV into a powerful media center that goes well more than any smart tv. In addition, the Measy B4S RK3288 Quad Core has a great price so if you are looking for a tv android, the Measy B4S RK3288 Quad Core is a great option to consider. 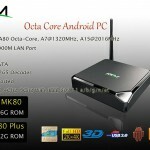 In Internet can find all sorts of resources to take full advantage of your Measy B4S RK3288 Quad Core. Here we will be adding applications, plugins or ROMs we consider most important. There are a countless plugins for XBMC with whom you do will add many features to this program. 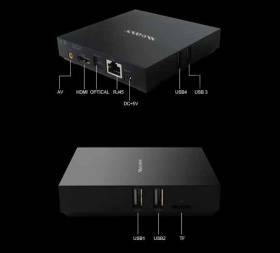 On our site we have an article about most prominent applications for Android TV. If you want to see the official website of Measy B4S RK3288 Quad Core here you can see all relevant product information. Where to buy a Measy B4S RK3288 Quad Core? Definitely the best place where buying a Measy B4S RK3288 Quad Core is Amazon. Thanks to its post-sales support you will be sure that all goes well and if you arrive defective they will easily and smoothly return it. 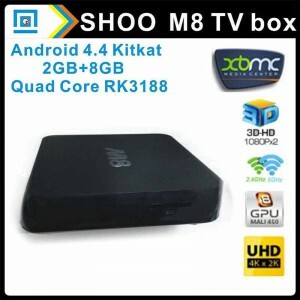 If you want buy a Measy B4S RK3288 Quad Core follow our link directly arrive to the product.